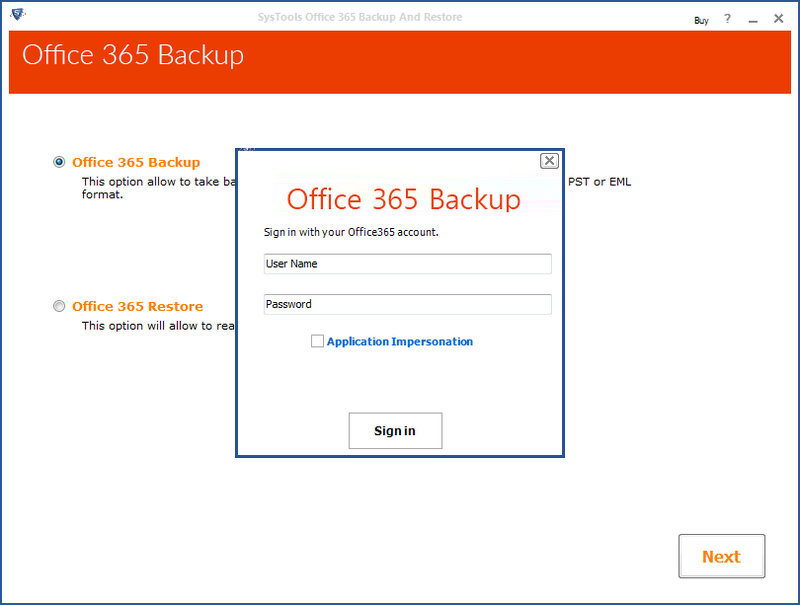 Enter the credentials of Office 365 account which user want to backup and export to PST. Select the mailbox item of Office 365 account like contacts,inbox etc. that user want to export. 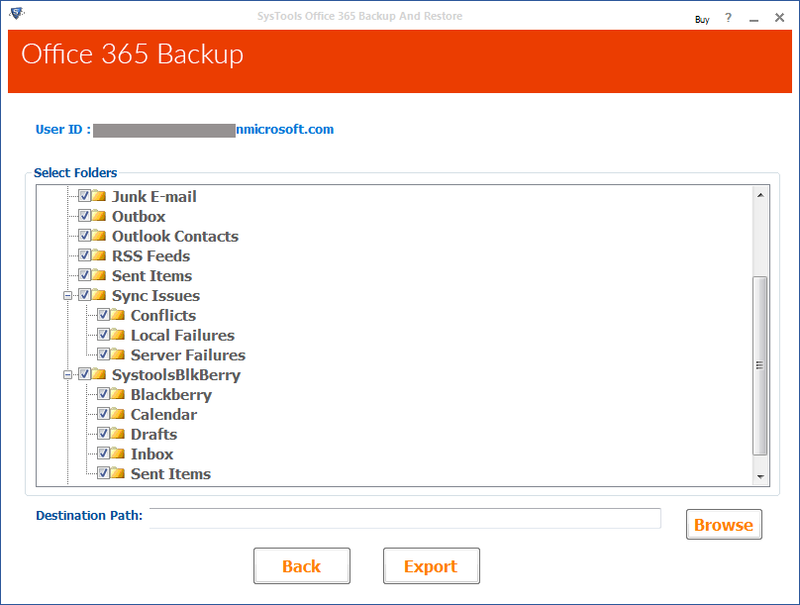 Browse location to save Office 365 mailbox to user hard drive. Select the Email format as "PST" format if user want to export Office 365 mailbox to PST otherwise choose "EML" format. 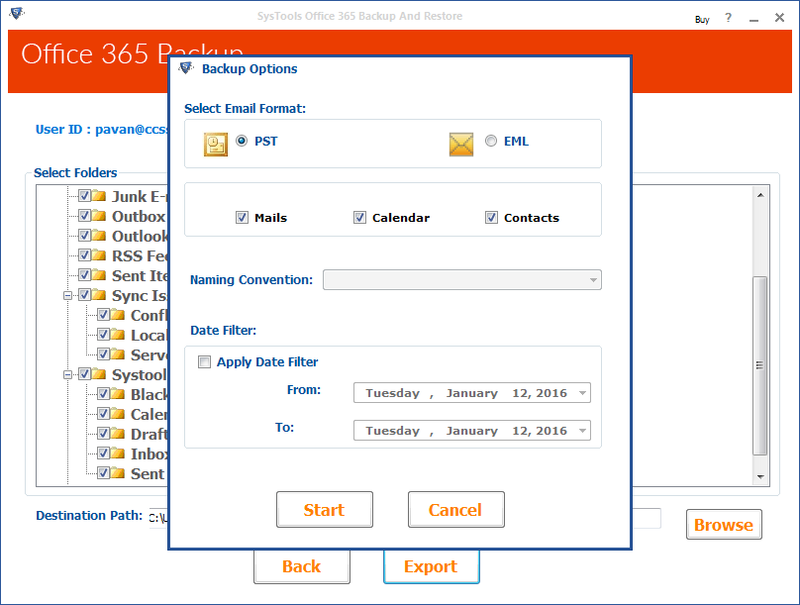 Apply "date filter" on Office 365 mailbox. Software notifies the user when migration process of Office 365 mailbox to PST gets completed.